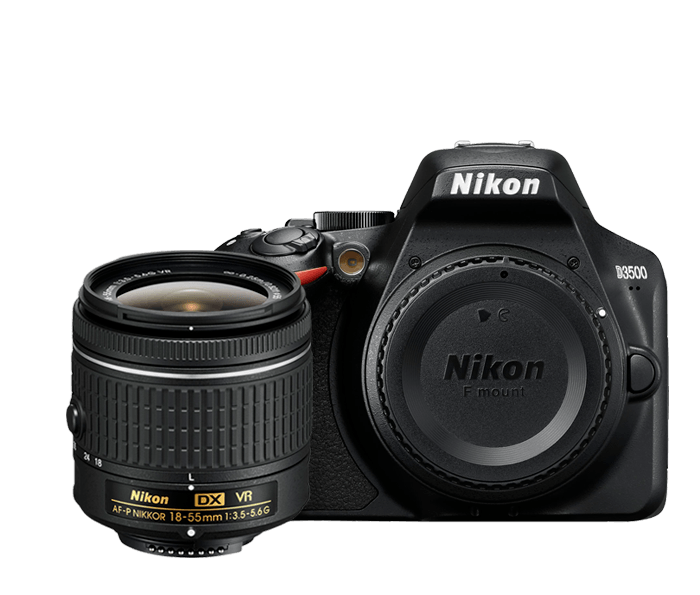 Kit includes the D3500 DSLR and the ultra-compact AF-P DX NIKKOR 18-55mm f/3.5-5.6G VR lens. Shoot sharp detailed shots and Full HD videos. The lens features Vibration Reduction for the sharpest handheld photos and videos.